Sorry this one is a bit late. The Top Albums of 2011 feature kept me busy. I was contemplating merging November and December to make one big compilation, but that wasn’t a good idea seeing how November was a very active month. One of the busiest in the site’s history. 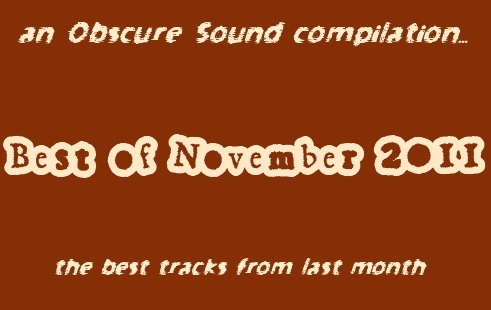 So here we are… the largest Obscure Sound compilation ever made. 21 tracks, 83 minutes. I tried to divvy this one up between the more reputable and up-and-coming, since features in November were split about 50/50 between features of new artists and updates on the familiar. So you’ll notice names like Leonard Cohen, The Black Keys, and Paul Weller on the first half. True, some material here won’t be released until 2012 (Dr. Dog, Leonard Cohen, Paul Weller), but these specific tracks were wisely exposed to build anticipation. Explorers Club’s “Sweet Delights” will be released next year as well, though with a new mix spearheaded by Mark Linett. The band is currently putting out three free suites in anticipation of 2012’s full-length Grand Hotel. They are highly recommended. The second half is not quite entirely unknown. David Lynch’s film work certainly isn’t under-exposed, but his music is — in a sense. I was pleasantly surprised by Lynch’s full-length debut as a musician. Read my review here. It’s one of those albums that just missed the cut for the Top 50. I’ll be compiling a feature of similar just-missed albums in the near future. Also be sure to check out new material from Swells and Oriel Joans; they produce excellent pop music, and are two bands with big years ahead of them. I realize this one is a bit long. Don’t be intimidated though. 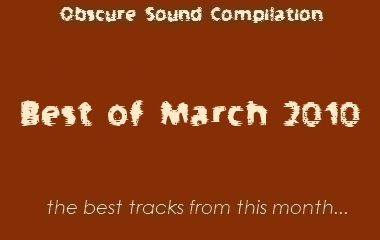 I think you’ll find the flow and consistency of this compilation enjoyable. nice one …. i will try it out! keep up, i love this pages! a 21 track compilation?? this is a GREAT christmas present!! Thank you so much for the time you dedicate to making these for your fans. I absolutely love every track you put on this site, keep up the good work, if you’re ever in need of a donation or grant of some sort, email me! Incredibly cohesive playlist. This has kept me warm through a freezing winter and I can’t wait for the Dec compilation. I first heard Arcadian Kicks on this webby and I’m so happy to see them pop up here!